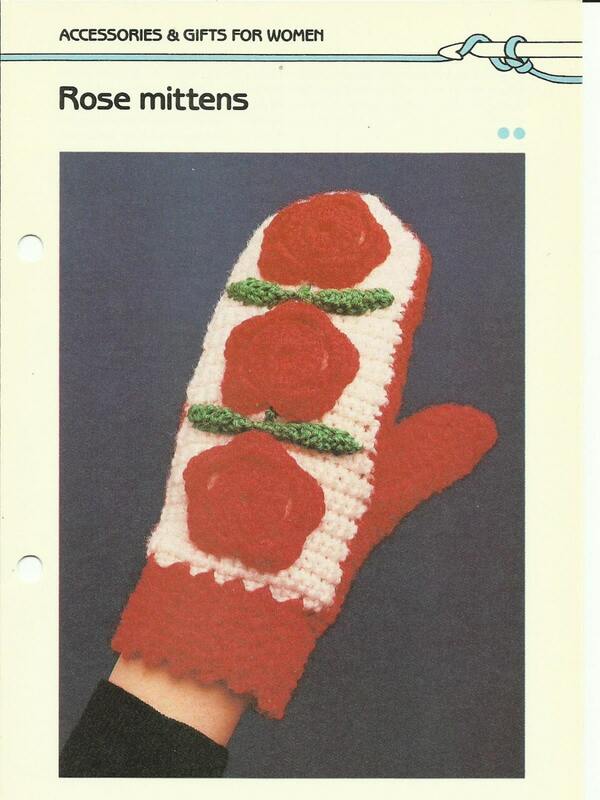 These fun Rose Mittens look cute, and keep your hands warm! The PDF pattern is full color, and shows you how to make the basic mitten and then the rose applique for the back of them. You could choose to put only one rose on each mitten, or position them differently than the picture shows- very versatile! The pattern has been digitlized from the Golden Quick N Easy crochet collection (1980s), It is marked as EASY in their pattern system. You recieve a full color PDF instantly with your payment. Sweet!